Julio Alvarez del Vayo was born in Spain in 1891. He became a journalist and was an active member of the Socialist Party (PSOE). In September 1936, Francisco Largo Caballero became prime minister. Largo Caballero immediately appointed Alvarez del Vayo as minister of foreign affairs. 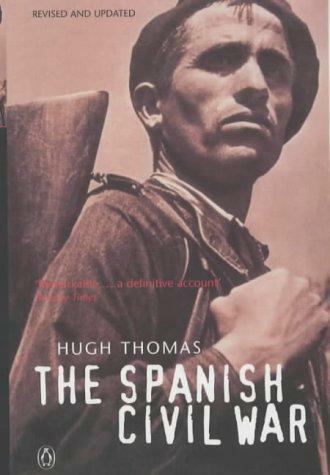 After the outbreak of the Spanish Civil War he worked hard to persuade foreign governments to provide military aid for the Republican Army. His attempts to deny international support for General Francisco Franco and the Nationalists meant he spent a great deal of time at the League of Nations in Geneva. Alvarez del Vayo managed to convince Joseph Stalin to provide the Republic with military aid. In October 1936 Soviet tanks and aircraft began arriving in Spain. They were accompanied by a large number of tank-drivers and pilots from the Soviet Union. His close relationship with the Soviet Union disturbed Francisco Largo Caballero who considered removing him from office. He eventually lost his job on 17th May, 1937. Juan Negrin brought Alvarez del Vayo back to office in April 1938. Alvarez del Vayo tried to persuade Neville Chamberlain to mediate in the war in February 1939. This ended in failure and at the end of the war Alvarez del Vayo emigrated to the United States. Julio Alvarez del Vayo died in New York in 1974. Yesterday Senor Alvarez del Vayo, the Spanish Foreign Minister, sent to the Secretary General of the League documents containing the latest information in regard to alleged violations of the non-intervention agreement by Germany, Italy, and Portugal. It is understood that the documents contained detailed information of a grave nature. I understand that so many airplanes have been supplied to the rebels by Germany and Italy that they now have about three times as many as the Spanish Government whereas at the beginning of the civil war the Spanish Government had about four times as many as the rebels. The rebels themselves are unable to manufacture airplanes, so that all these additional airplanes must have been supplied by other nations. German and Italian airmen who have been taken prisoner have confessed that they were acting under orders of their Governments. The documents are understood to contain evidence showing that during the military operations of the rebels in Estremadura the air bases, the supplies, and the movements of the rebel troops were organized on Portuguese territory with the help of the Portuguese military forces. Airplanes and other arms that have fallen into the hands of the Government are of a type that has never existed in the Spanish army and reveal their foreign origin. The Spanish Delegation asked that the documents should be published and should be distributed to the members of the League. They have not yet been distributed, and it is impossible to obtain from the Secretariat any information as to whether they will be published. Last September, I alluded to the tragic proof supplied by the youth of Spain, who fall in thousands in the trenches of freedom as the victims of Fascist aeroplanes and of the foreign war material delivered month after month, despite the non-intervention agreement, by those who base their international policy on the systematic breaking of treaties and of their international undertakings. Today, Madrid has become one more irrefutable proof. No one can doubt the validity of this evidence. Every foreign mission which has visited Spain has brought back fresh accusations against this monstrosity: that the capital of a State Member of the League has been reduced to ruins, and that the women and children of this capital have been butchered in hundreds by bombing planes under the orders of rebel generals and supplied by States which have, in fact, begun a war, and which are continuing to make war, while statesmen talk of preserving peace. 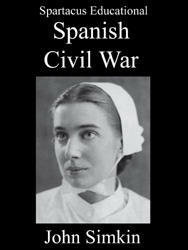 The war is there; an international war is raging on Spanish soil. We have seen how, in the last few days, the rebels, after the failure of their Moroccan troops, are now preparing to receive the assistance of fresh forces which they themselves call "blond Moors." 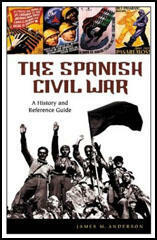 Moreover, we must expect that poison gas, which has already been employed these last days, will continue to be used in the attacks against Madrid, and that the parts of the city in which the workers live will be bombed more and more violently in order to try to obtain by panic what the rebels have failed to obtain by other means. It would be both useless and dangerous to continue to ignore the situation. The worst thing that could happen to the League of Nations would be to contribute by its own silence and inaction, to the spread of this war. Such a peace, it is true, would have cost the lives of millions of men, women and children and would have meant that many capitals would have suffered the fate of Madrid, that hundreds of towns would have known the fate of Cartagena and of Alicante. But, from a formal point of view, peace would not have been disturbed. When the Spanish Government decided that it was its duty to assume the grave responsibility of requesting a meeting of the Council of the League, it did so precisely because it wished, so far as it was concerned, to declare in the most solemn fashion its firm decision to oppose any such paradoxical and murderous "peace policy." Allow me to recall just what were the reasons that made the Spanish Government feel it was necessary to demand a meeting of the Council. In the first place, the Spanish rebels have just been recognised as a legitimate Government by two great European Powers - Germany and Italy. The moment the rebels had received this recognition their chief threatened to start a blockade of the Government ports in the Mediterranean. At the same time, naval attacks took place at different points on the Spanish coast by warships whose nationality it was impossible to establish. Two Government warships have been attacked by two submarines also of unknown nationality at the entry to the port of Cartagena. (3) Konni Zilliacus wrote about the Spanish Civil War and the League of Nations in his unpublished autobiography, Challenge to Fear. In September 1936 del Vayo had appealed to the League under Article 10 of the Covenant to provide the Spanish Government with the arms it needed to defend its territorial integrity and political independence against Hitler's and Mussolini's aggression. I can still remember that black day in the Assembly, listening to Eden droning away from the rostrum, explaining why it was contrary to the Covenant of the League to interfere in an ideological conflict. What cunning bastards they are, the damned hypocrites, thought I, standing there with death in my heart, light-headed from the stench of catastrophe, feeling a little sick with the "steely taste of defeat" in my mouth. Senor del Vayo, the Spanish Foreign Minister, yesterday laid his Government's case before the League Council that had been called at Spain's request, but he did no more. He did not ask for League intervention in the Spanish war (or, as he called it, 'the international war on Spanish soil'). The meeting had been asked for to show the Council the danger to international peace in the Spanish situation. He spoke of the Fascist intervention in Spain, warning the other democracies of the serious danger of the extension to them of these Fascist methods. He envisaged the time when there might be a Europe 'wholly pacified because all problems will have been settled, thanks to the decisive action of international Fascism'.